Question: How do you help a struggling writer? Answer: There it is... the million dollar question. A simply-asked question with no simple answer. In fact, the answer depends on the type of struggling writer we're talking about. Is it a writer who can write but won't? Or a writer who wants to write but can't? The first writer is someone who lacks motivation, not ability. The latter is a student who may have the drive but not the necessary skills. Those are two different writers and thus require different instructional strategies. For the I-can-but-won't writer, the focus needs to be on motivation. Writing is hard work. And it doesn't come easy for lots of kids. Look for ways to make it fun. 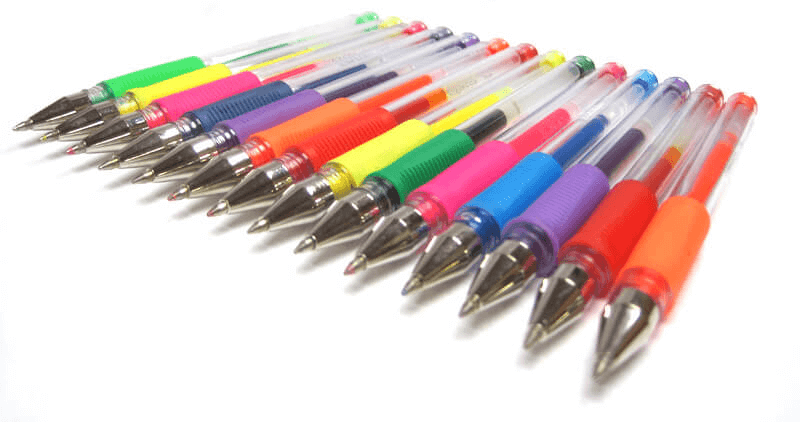 One of the easiest ways to do that is to offer students a different colored gel pen for every sentence they write. They think it's fun to make their writing colorful, and you can see an idea elaborate before your eyes. This is relevant when revising as well. Many students write a draft and are "done." They have no interest in "doing it again" or revising. But by letting them use a variety of tools and techniques, they can make significant improvement in their drafts. Sticky notes, colored pens, sentence strips, and other office supplies make revision fun. Teach students to use these tools when applying the spider-leg or story-surgery revision techniques. Any opportunity to incorporate writer tools, fun paper, or technology will often hook this writer. The topic or writing assignment may not be "fun" in his mind, but the toys he gets to use along the way can make it more entertaining. For the I-would-but-can't writer you have to honor the developmental process. Students will say it before they write it. So, build writers by improving their oral-writing skills. They can practice sentence-writing by speaking a half a dozen sentences in the amount of time it takes them to physically write one. If you want them to write strong hooks/introductions, then have them say several first. If you want them to practice transition words in their writing, have them speak those sentences first. If you want students to apply punctuation when writing, have them apply punctuation when they speak. These strategies work well not only for students with special needs, but also your ELL, too. Writing requires students to have ideas to write about and to juggle the conventions of sentences and grammar. This combination can be brutal for a struggling writer. Instead, let students focus just on their ideas first. Encourage students to jot key words, facts, details, and phrases on paper in list form first. No sentences required. While focusing on listed facts and details, you can also encourage stronger and more specific word choice. (NOTE: For a while, the list might be the writing. It's not the first step; it's the only step.) Once a student's listing skills improve, then transition him from just listing to using a list as a pre-write, with sentences and a draft to follow. For both types of struggling writers, anchor papers play a major role in defining the expectations. Students need a vision of the goal. They need to know what "good writing" looks like. They need to know what the teacher wants. They need to know when they've achieved it or missed the mark. Take the mystery out of good writing by providing student writing samples (also known as exemplar papers, anchor papers, benchmark papers). Always show students what the goal looks like before they write, so they have something to compare their own work to.